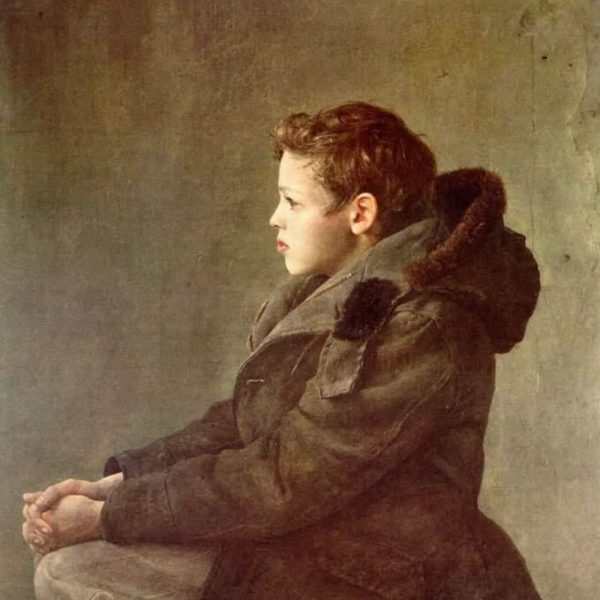 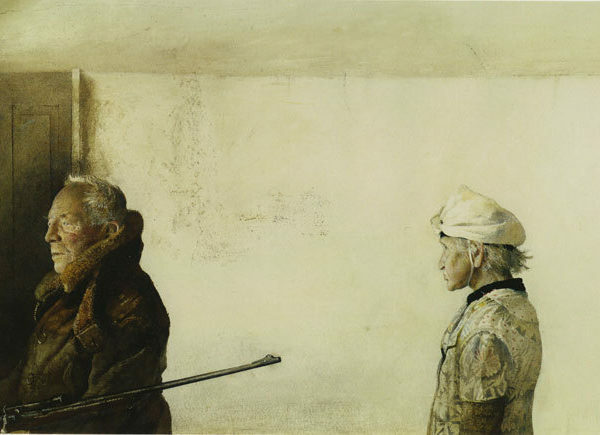 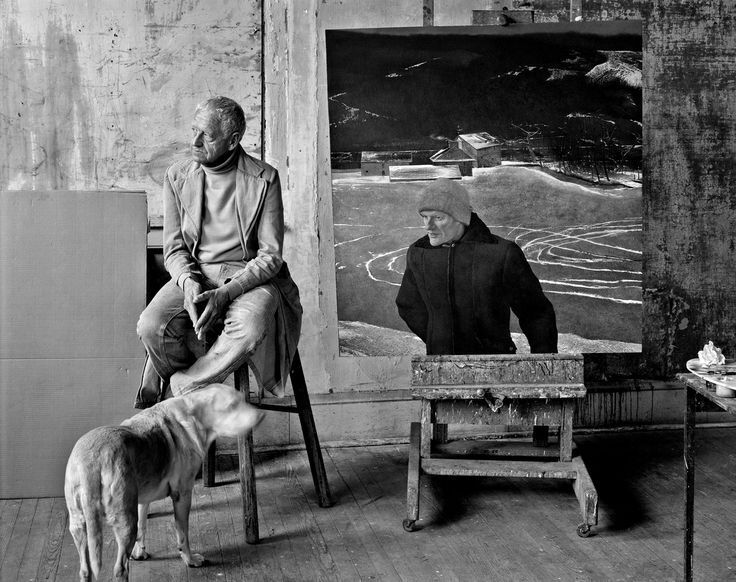 You probably know artist Andrew Wyeth, or would at least recognize his distinctive work–landscapes and portraits often in bleak, dusty tones, the fields fallow and the subjects rarely smiling; interiors of worn plaster and stark contrast. 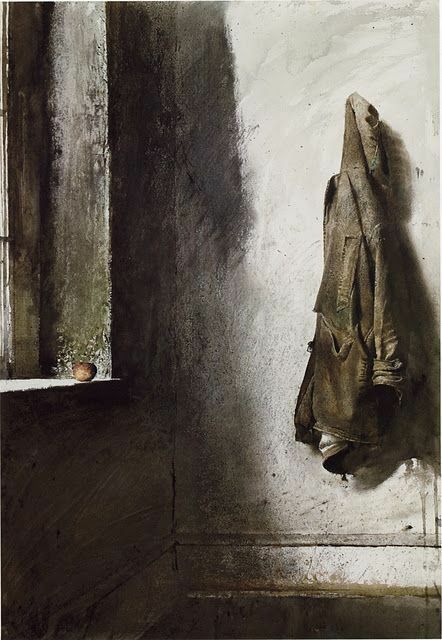 Wyeth worked in the 20th century but mostly in an antiquated medium, egg tempera on wood, that partly contributed its distinctive look. 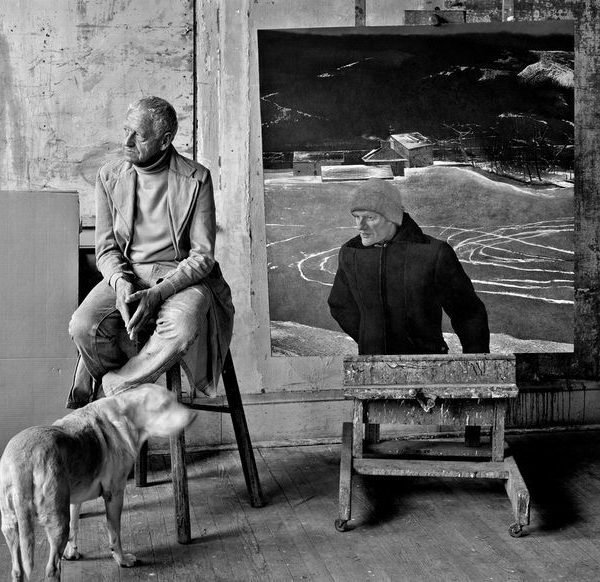 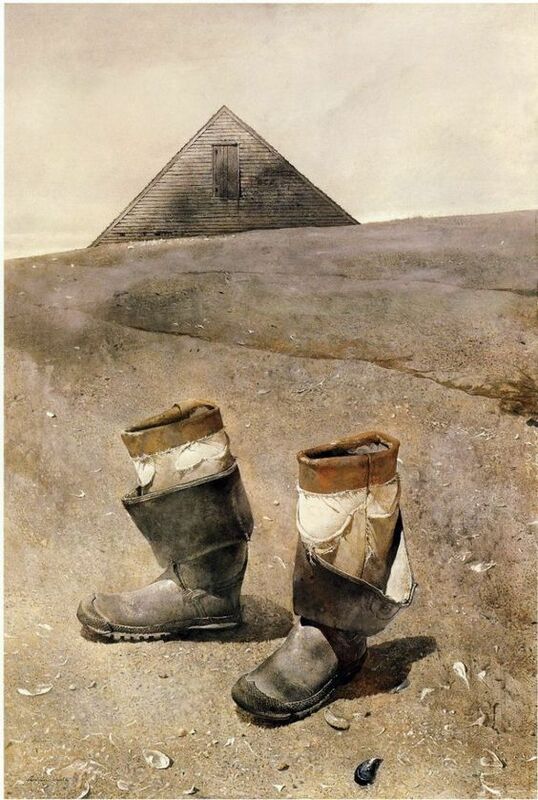 I grew up not far from where Wyeth lived in Chadds Ford, Pennsylvania, and I remember being tremendously bored when my mom would take me to the local museums that featured his work. 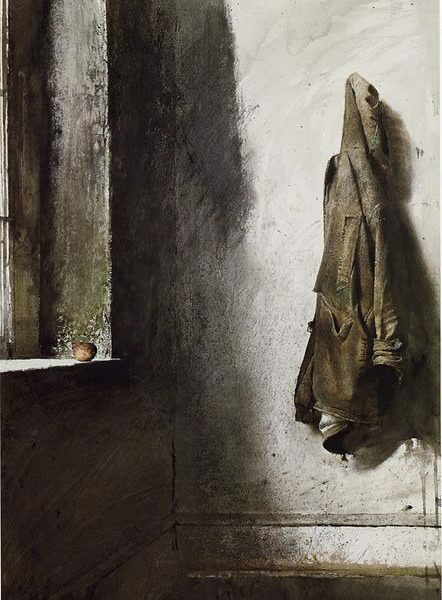 I already knew it looked bleak outside, why did I need to look at paintings of the landscapes and old houses I lived in? 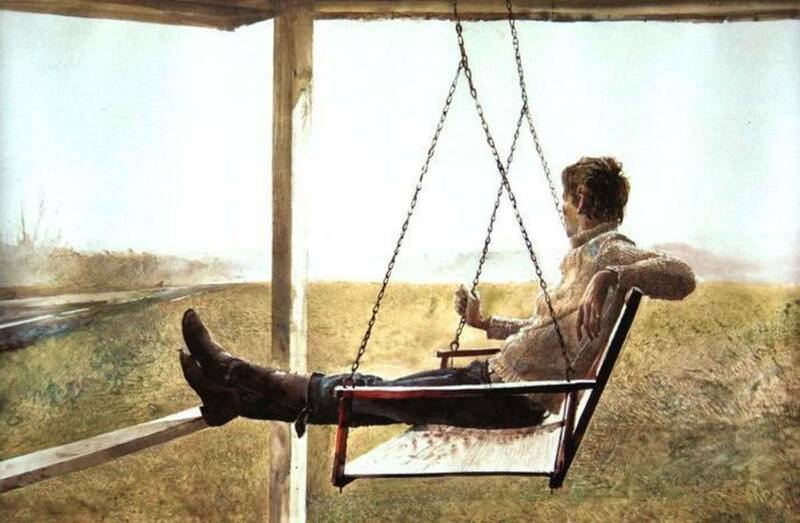 But as I’ve gotten older I’ve grown to appreciate Wyeth’s palette and choice of subjects. 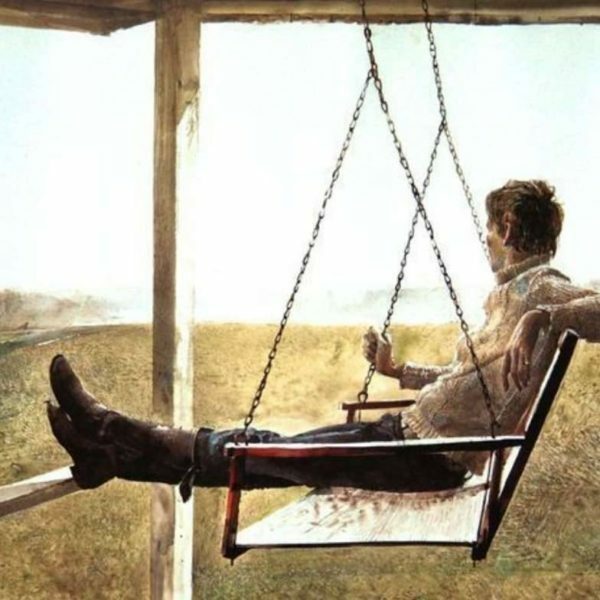 Maybe I’m succumbing to what less charitable takes on Wyeth’s work consider kitsch–nostalgia for a restrained, rural, austere American-ness. 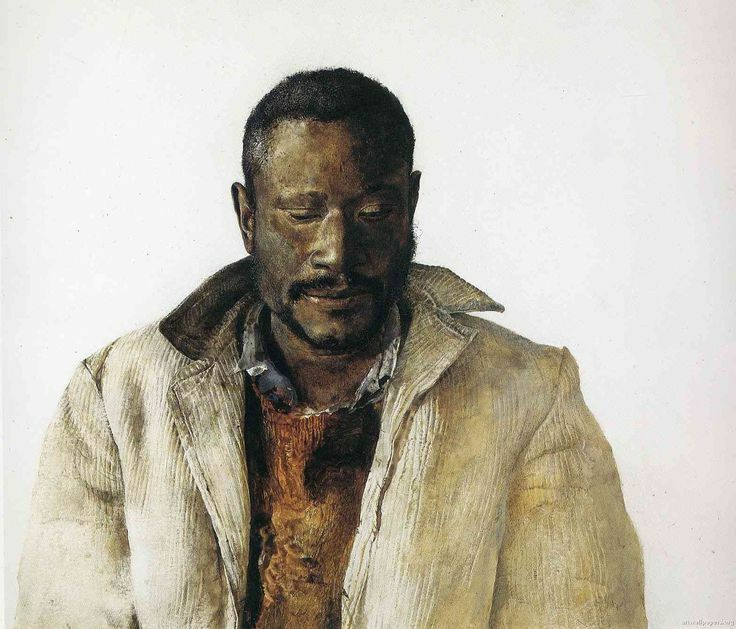 While the contemporary art world moved to more and more abstract, nonrepresentative work, Wyeth’s detailed, intense and often realistic work was rendered conservative in style. 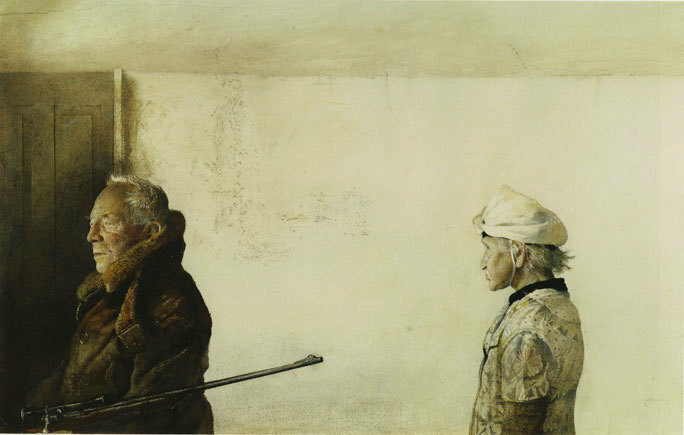 The public appreciated it; critics mostly rolled their eyes. 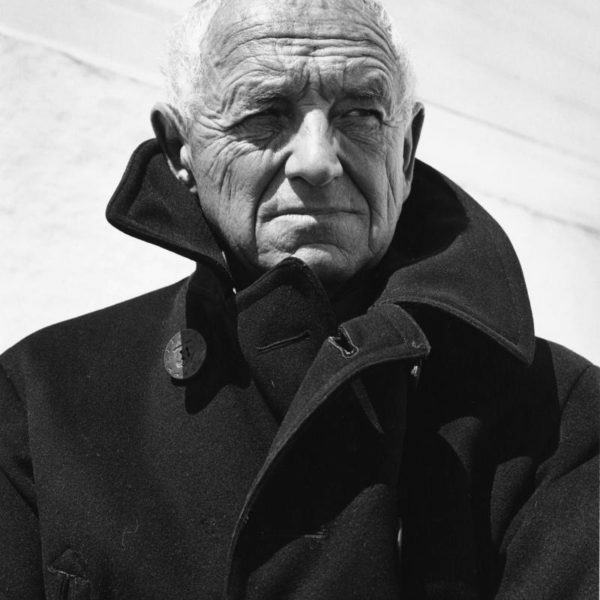 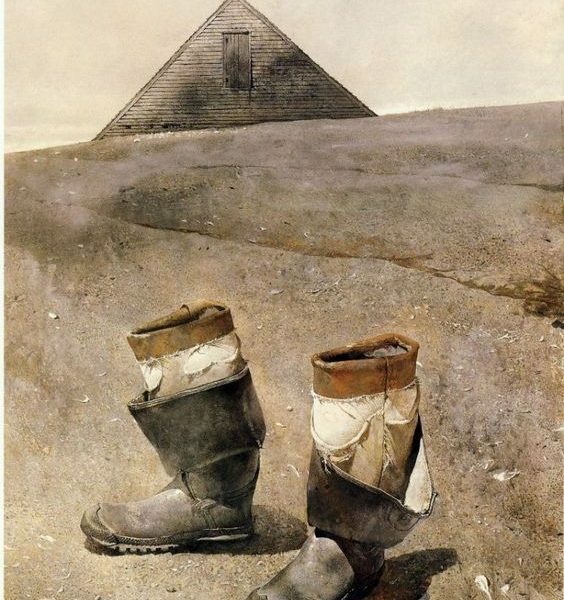 Wyeth often worked specific clothing into his works–hunting coats, boots, sweaters–the kinds of things you’d expect to have to wear to be comfortable in his chill, windswept landscapes. 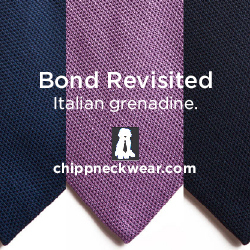 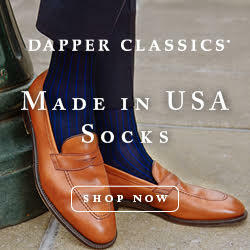 The items are beautiful in their worn-ness; like his style, there’s an intentional and appealing un-fanciness about them. 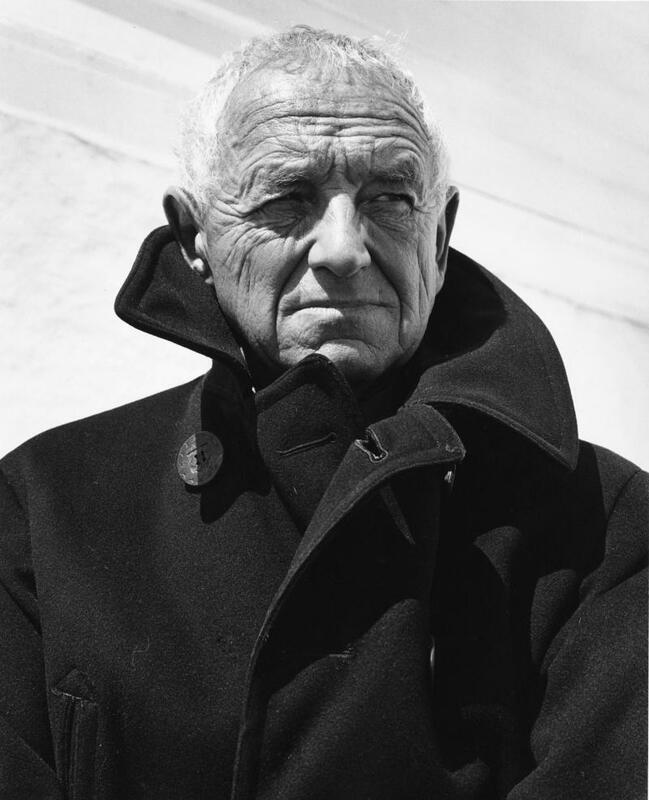 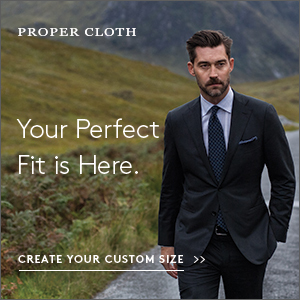 Portraits of Wyeth himself depict him in Put This On-endorsed items–in the top photo Wyeth wearing what appears to be a windowpane sportcoat, flannel trousers with no break, jodphurs, and a tremendous shawl collar overcoat. 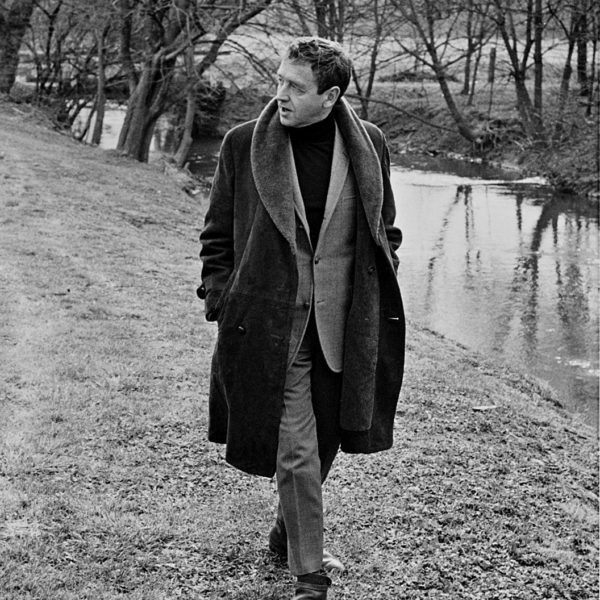 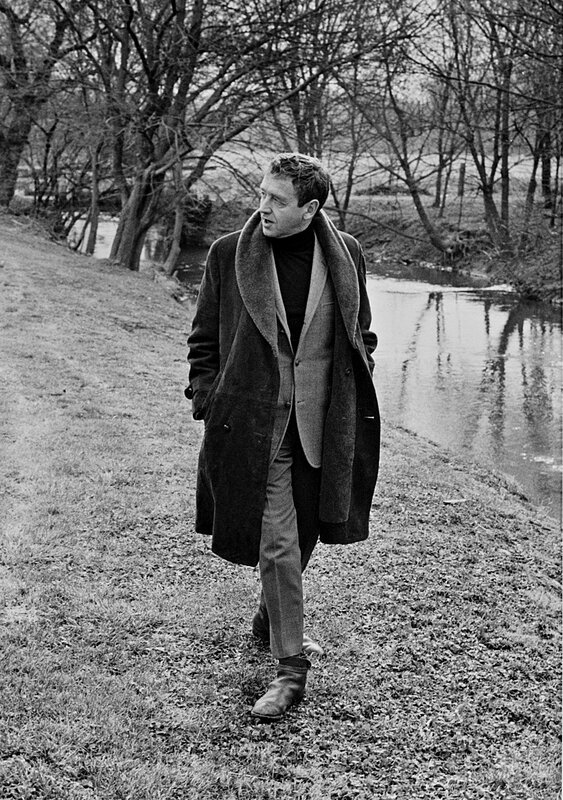 He wore some great coats and especially in later years was photographed wearing interesting high-buttoning jackets.